Three of my paintings were chosen as finalists in the Still Life/Floral category of The Artist’s Magazine 30th Annual Art Competition. The winners have been notified (I am not in that group) but I am honored to have been selected as a finalist from over 6000 entries. Finalists’ names will be listed in the December 2013 issue which will feature the the winning artists and their entries. 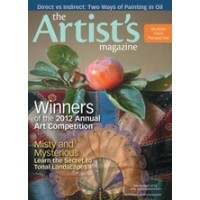 Some artists from the finalist group will be chosen for showcase articles in the magazine and online throughout the year as well as for spots on their calendar. Grateful! So delighted for you, Vickie! Vickie-thank you for helping me see beauty. You are a gift! Thank YOU dear friend for rock-solid friendship…and always being part of the beauty-watch.